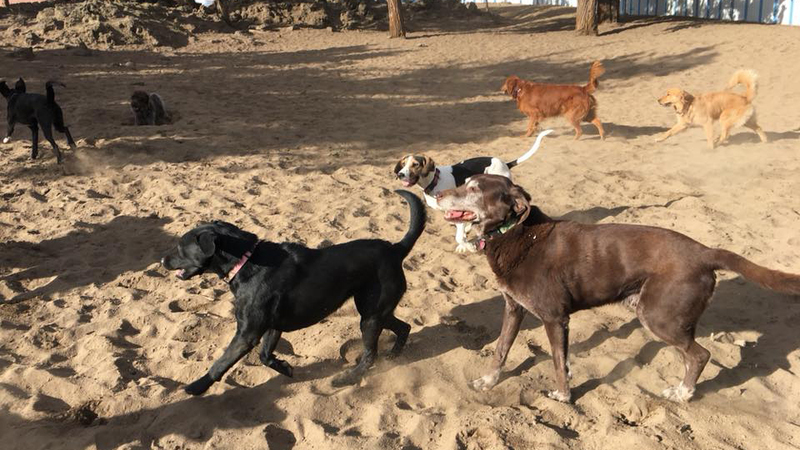 Pet Paradise is a dog boarding kennel sitting on 57 acres in beautiful, dog-friendly Bend. Located North Highway 97, Pet Paradise has been providing “top-notch care” for their canine guests in a clean, safe environment since 2004, and use their full acreage to walk and exercise your dog. Pet Paradise takes care of its little friends with a special indoor and outdoor playground devoted just to smaller dogs. They take just as much care of their friends who prefer to play alone, with dog daycare and dog boarding kennels that provide separate play areas and lots of love and affection. They also have a separate area for senior dogs to relax. With two playgrounds and shade trees totaling 1.5 acres, their dog daycare and dog boarding kennel offers all-day play time. An afternoon meal, a relaxing nap and it’s back out to the playground for more fun! Because of Bend’s ever-changing weather, their dog boarding facility accommodates canine friends in climate-controlled dog suites ensuring your dog’s comfort. They also offer bathing and reasonable rates.